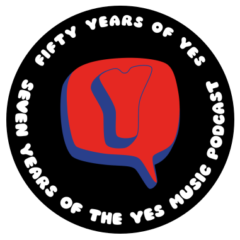 The fifth episode of the Yes Music Podcast featuring the fifth album, ‘Close to the Edge’. Is this the classic Progressive rock album? Are there any classical music parallels to be found here? What gives the music its ‘hook’? In response to if “Close to the Edge” was the first rock piece to occupy an entire album side: I am not sure if it is the first but “In-A-Gadda-Da-Vida” by Iron Butterfly was released in 1968 and lasts all of Side B of the album. Wonderful description of “CttE”, Kevin! I have heard it countless times and you were able to piece together parts that I had heard but did not register in my mind, if that makes any sense. I would rate it as THE penultimate progressive rock album. Thanks for that information about Iron Butterfly – very interesting! Also thanks so much for the very kind comment. That’s exactly what I’m trying to do – listen out for parts I have not registered before so it must be working! Keep listening and thanks again! Next Next post: Technology and music – always a good thing?